Lee Miller was born in 1907 in Poughkeepsie, New York. She first entered the world of photography in New York as a model to such great photographers as Edward Steichen, Hoyningen-Huene and Arnold Genthe and later worked with Man Ray in Paris, establishing her own studio. Known as a portraitist and fashion photographer, she also made many remarkable Surrealist images; in 1939 she became a staff photographer for Vogue magazine just as the war broke out. Astoundingly for the time, Miller became an accredited correspondent to the US Army, and was probably the only woman combat photojournalist to cover the war in Europe. The exhibition consists of 96 photographs spanning Lee Miller’s career, including portraits of great artists and personalities such as Picasso, Chaplin, and Joseph Cornell. Also on view will be a video of The Lives of Lee Miller by Tony Penrose, made for Channel 4 Television (UK) in 1986. The exhibition is organized and lent by the Lee Miller Archive; tour development and management by Johnstone Associates, Auckland & Melbourne. The show is supported by the Canada Council for the Arts and the British Council. Antony Penrose is the son of Lee Miller and Roland Penrose. 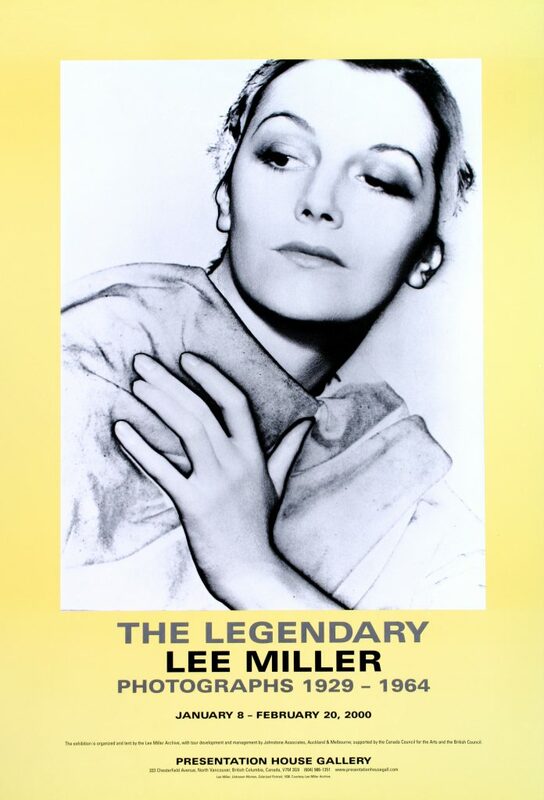 He is the author of the highly-acclaimed definitive biography of Lee Miller; the director and producer of a documentary on Miller for Channel 4 TV )1988), and a co-founder of the Lee Miller Archive. A farmer, managing 850 acre family dairy and arable farm, Penrose has produced and sometimes directed 18 films ranging from documentaries on internal parasites in cattle and sheep, to a surrealist poem set to pictures.